SUNNYVALE, Calif., Jan. 15, 2019 — Ondas Holdings Inc. (OTC: ONDS), through its wholly owned subsidiary, Ondas Networks Inc. (the “Company”), a developer of private licensed wireless data networks for mission-critical industrial markets, today announced that Martin Paget has been appointed the Vice President of Industrial Solutions at Ondas Networks. 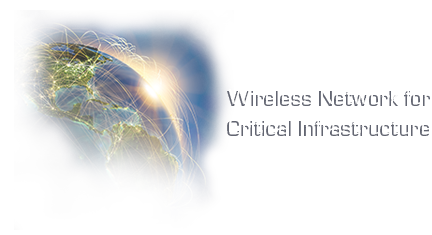 In this role, he will develop and implement the Company’s wireless industrial solutions across multiple mission-critical markets including enhanced data applications for the transportation, oil & gas, utility and security markets. Mr. Paget has over 30 years of experience serving the global railroad industry. Prior to joining Ondas Networks, he held the role of Senior Director, Digital Product Management for GE Transportation where he managed and developed field maintenance and safety software solutions and applied innovative technologies to increase efficiencies in the transportation industry. Mr. Paget has also held leadership and technical roles with Xorail, Inc. (a subsidiary of the Wabtec Corporation) and Safetran Systems Corporation (which was acquired by Siemens) where he led the development and implementation of safety-critical railroad signaling, control and communications products.